LOCAL SEARCH ENGINE OPTIMIZATION. LOCAL SEO INVOLVES OPTIMIZING YOUR WEBSITE TO ENSURE IT HAS HIGH-RANKING RESULT IN LOCAL SEARCH INQUIRES. Local SEO involves targetting specific keywords related to your local market and current location of users. Local SEO is less complicated then traditional SEO and can produce result much faster in many cases. Volume of consumers searching locally is growing expotentially at 70% every year.80% of searchers that research online before purchasing in a 10-20 mile radius. Searches with local intent are more likely to lead to store visits and sales within a day. New Google research says that 50% of mobile users are most likely to visit after conducting a local search, while 34% of consumers on tablets or computers will go to a store. 4 IN 5 consumers conduct local searches on search engines. They search for business hours, directions to a local store, local store address, availability of product at local store according to the Google study. 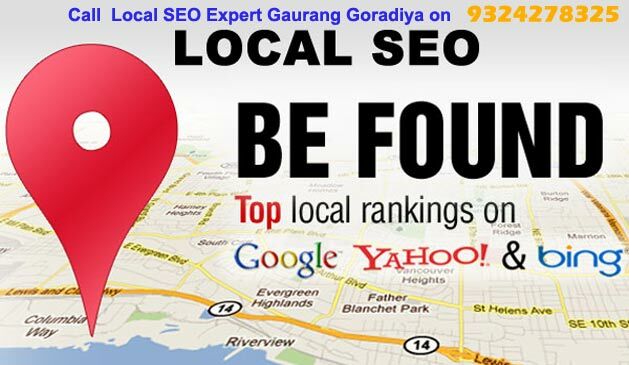 BE FOUND BY NEW ONLINE LOCAL CUSTOMERS BY MUMBAI'S MOST RECOGNIZED DIGITAL SEARCH MARKETING AGENCY. Title and meta description tags are HTML elements that you can customize to reflect the content of your web page. The text of your title and description tags is displayed in search results. Think of this text as a "mini-ad" that you need to carefully craft. According to the google, roughly four out of five consumers use search engines to conduct local searches. Yet many small buisness have not claimed even a single a local business listing online, which is a huge missed opportunity. It is very important for local business to claim and to optimize their Google My Business(GMB) and Bing places for business page. Structured data markup-often referred to as "schema markup" or "schema.org markup"--can be added to your website's code to provide search engines with more information about your business, like the product you sell, reviews you've collected, services you offer and so on. We create website content with full NAP(Name, Address, Phone no.) accross your whole website and also use Schema.org markup on your NAP to give the search engines all they need to display company information correctly.